There was a public outrage when a man who couldn’t manage the YOG budget casted doubt on SDP’s economic plan. That man was none other the PAP candidate helming Holland-Buikit Timah GRC, Dr Vivian Balakrishnan. 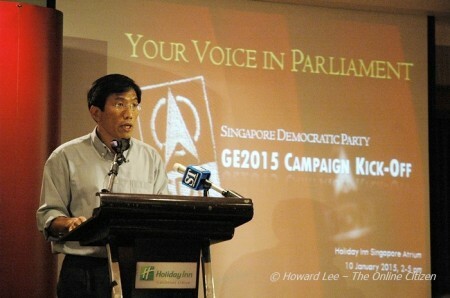 His poignant remarks that SDP would lead Singapore on the path of bankruptcy rang a little hollow. Greece is often regarded as the birthplace of democracy and some would in fact relish and welcome the fact that SDP would bring us further down this path of democracy. As for bankruptcy, we have no doubt that the PAP, a party that is bankrupt of ideas, would leave the majority of its people impoverished while the privileged elite of this land lives in a lap of luxury. At 0.412, we have one of the highest gini-coefficient after taxes and subsidies amongst the developed nations of the world. The other developed nations like USA, UK, Australia, Japan and Germany, have a more equitable transfer programme through a progressive taxation policy, have recorded an average of 0.33 for their gini-coefficient. Looking at SDP’s election manifesto, it is clear that the party is striving for a more equitable distribution of income and we are likely to see more transfers from the rich corporates to the poor families in Singapore. The rich corporations here, are either GLCs or MNCs and SMEs often struggle to survive. There is no trickle down in Singapore. In fact, money defies the force of gravity and it trickles up as exorbitant income, in the name of no-corruption, into our ministers’ pay packets. It reeks of sheer arrogance when PAP talks down to the poorer segments of our society, chastising them for not being able to hold down a job, for falling ill due to lack of exercise and for falls in productivity levels. But critics often say that local Singaporean can’t hold down a job due to the import of cheap foreign labour and for those who have a job, they do not have time to engage in recreational activities. And the falls in productivity is because of our over-reliance of cheap foreign labour often substituting technology. The intellectuals in Singapore seem to think that we are confronted with hard economic choices – tinkering with the success formula of the past means that we need to forgo economic growth for a more equitable society. They somehow equate a step towards welfarism as a step towards bankruptcy that would lead to our overall decline. This only reflects the psyche of our elite – they simply do not want to share the pie. And why should they? 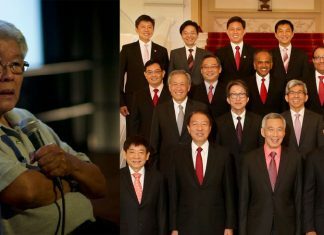 The top 25 highest paid politicians are in Singapore. They have a vested interest in this system. It pays them well and they have no intention of parting with their legitimately earned income any time soon. The best way to achieve equitable income distribution in a mature economy like ours, is through a comprehensive taxation and transfer programme. Budgeting is a yearly affair and I’m sure whoever is charged with the reigns of this country will take into account of the various inputs from the ministries before finalizing the budget – It’s not like party manifestos are automatically adopted by the parliament. What is important is to consider is the ethos and the principles governing each party. In that respect, the SDP carries certain values. Leaving behind a segment of our society ultimately leads to instability and revolution. It is troubling to see PAP sweep these issues under the carpet. Our social programmes are far from being adequate. Their reluctance to address these issues cast doubt about their ability to manage the different segments of our society. It seems like the PAP is happy to see the poor on a train to Greece and their acquiescence in this case is appalling.